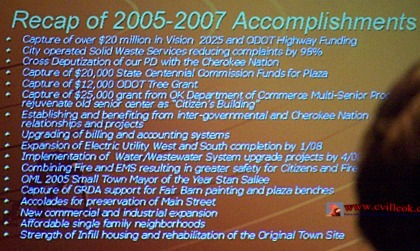 The Collinsville Chamber of Commerce heard a recap of 2005-2007 progress made by the City of Collinsville. 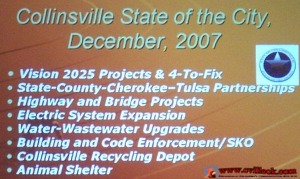 Most of these projects have already been detailed on the pages of this cvilleok.com web site. Many of the projects have been partnerships with the City, Cherokee Nation and Tulsa County. I will try to update a status sheet on these and other city projects in the near future. (Previous Coverage). Members of the CHS Chorus entertained the Chamber with some holiday songs Thursday.